India will have difficulty fostering a larger middle class because the country lacks a suitable base. 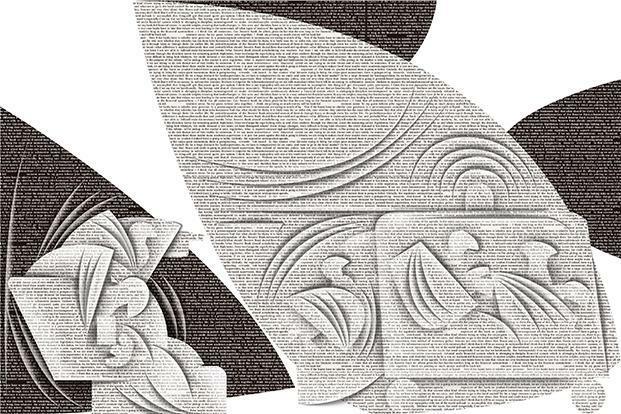 Because of the shifting nature of the global economy, pursuing manufacturing- or digital-based growth strategies will not make India a high-income country or close its gap in equality.Only more forceful redistribution or civil conflict that destroys capital is likely to even out India's income disparities. In March, the whole of India tuned in to watch as 35,000 farmers — many barefoot — traipsed across the western state of Maharashtra for six days on the way to Mumbai, India's financial capital, to register their discontent about the hardships so many feel in the subcontinent's countryside. Aware of a nation's eyes upon it, a chastened state administration gave the marchers an obsequious welcome, rapidly caving into demands for financial concessions. Mollified, the marchers dispersed and returned to their farms, as the rest of the country returned to its daily life, awaiting the next conflict. With 39 Maoists killed by Maharashtra police in Gadchiroli over 48 hours on April 22-23, 2018, and 10 Maoists killed in by Chhattisgarh Police in Sukma in south Bastar on April 21, the numbers of rebels gunned down has gone up to 49. Pressure on Maoists continues to be mounted. At least 15 bodies, including two women, were found floating in Indravati River late April 24. Among the 37 dead Maoists, 19 were women, including 18-year-old Suman Kulyeti, a platoon member with a 4 lakh reward on her head. Among the bodies recovered, two were of senior members of the Communist Party of India (Maoist), with rewards of 20 lakh and 12 lakh on their heads. 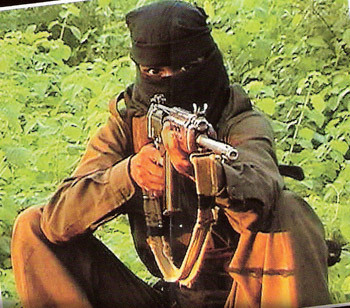 Maoists identified till last reports came in carried cumulative reward of 82 lakh on their heads. Earlier this week, BBC had to issue a clarification that it had not commissioned any pre-poll survey in Karnataka. The reason? A fake survey claiming that the Bharatiya Janata Party would win 135 seats in the forthcoming Karnataka elections has been doing the rounds on WhatsApp—with a BBC link provided for legitimacy. The link, of course, merely leads to BBC’s India home page. This is the latest in a long string of fake news that has plagued the build-up to the elections. 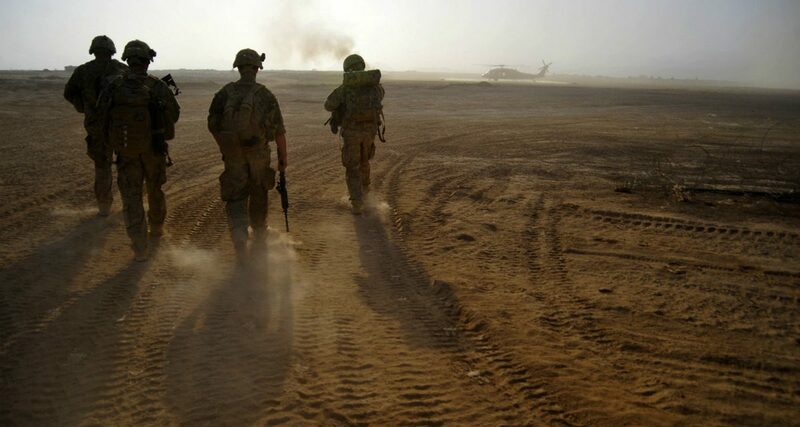 The ongoing and concurrent counterinsurgent and counterterrorism missions in Afghanistan, Iraq, Syria, North Africa, and more recently in South East Asia demonstrate the value of increased harmonization between military and civilian activities, which delivers tangible benefits for both. A range of governments are investing time, money, and effort into developing the requisite civilian and military interoperability and the products of these efforts have been made available for evaluation. One example is The Good Operation, which was commissioned and drafted by the UK Ministry of Defence in 2017 to identify a pathway to improve how decision-makers plan for and execute security and stability operations such as the establishment of a whole-of-government approach to national security. Exaggerated media accounts have sought to portray commercial glitches in India’s Chabahar port project, such as attracting a private partner for the operation of marine facilities there and resolving an excise-duties dispute, as emblematic of India’s eroding influence in southern Asia. Some have seized on the Iranian foreign minister’s statement in Islamabad that Chinese and Pakistani investment in Chabahar was welcome as evidence of India’s declining strategic reach. That statement was largely an attempt to dispel a perception that Iran has teamed up with India to checkmate China’s Gwadar designs. OMAHA, Nebraska -- The U.S. and China will be "extremely foolish" if they engage in a serious trade war, billionaire investor Warren Buffett told shareholders of his investment empire Berkshire Hathaway on Saturday, assuring them that such a scenario would most probably not happen. "It's just too big and too obvious," he said about U.S.-China trade. "The benefits are huge and the world is dependent on it in a major way for its progress, that two intelligent countries will do something extremely foolish," he said. More than 40,000 shareholders, including hundreds from China, South Korea and India, made their pilgrimage here to attend a three-day event that centers on Berkshire Hathaway's annual shareholders meeting. The Pentagon this week claimed two US pilots were injured when military-grade laser pointers were shone into their eyes from China’s navy base in Djibouti as the Americans came in to land at the US base. US officials made a formal diplomatic complaint and demanded Beijing investigate, with the defence department saying there had been similar incidents for weeks at its base in the Horn of Africa nation. Beijing has denied the allegations. As part of China’s push to modernise its military technology and equipment it has been developing laser weapons – ranging from low-powered tactical beam emitters to a high-energy strategic weapons system. These are some of the latest tactical laser weapons China has revealed in recent years. BEIJING — Tensions between the United States and China flared on two military fronts as Washington accused the Chinese of harassing American pilots flying over the African nation of Djibouti and warned of consequences to the deployment of missiles on artificial islands China has built in disputed waters in the South China Sea. 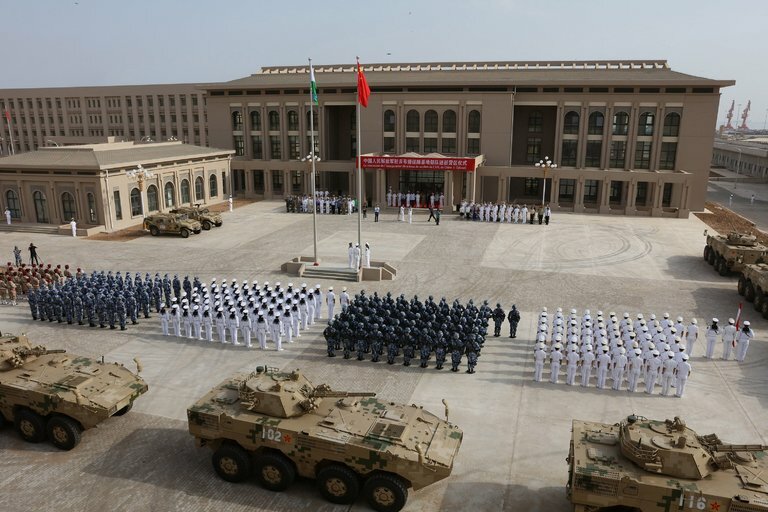 The Pentagon’s spokeswoman, Dana W. White, said Thursday that personnel at China’s military base in Djibouti have in recent weeks been aiming powerful lasers at American aircraft that also operate in or near the country, which is where the Red Sea and the Gulf of Aden meet. China has long prosecuted a trade war against American industries and workers. Finally, we have a president willing to take up arms but he is widely disparaged by academic economists — who are generally sympathetic to the resist Trump movement and prescribe more Obama-era appeasement. Supported, for example by New York Fed President William Dudley, they argue the economy is doing well and a trade war is not winnable — those are false and Beijing has left Washington little choice but to defend America or abandon our children’s future. On April 23 in Toronto, Canada, 25-year-old Alek Minassian stomped on the gas pedal of a rented Ryder van, jumped a curb and steered the vehicle down a wide sidewalk running along Yonge Street. He charged down the sidewalk for over a mile, swerving to hit as many pedestrians as he could. He struck 24 of them, 10 fatally, before he turned the van down Poyntz Avenue, parked and exited it. When he was confronted by an armed police officer, Minassian repeatedly mimicked that he had a gun, eventually screaming for the officer to shoot him. Instead, the officer took him to the ground and handcuffed him, bringing an end to his bloody rampage. The latest cruise missile caracole aimed at Syria was militarily meaningless. A few empty buildings were destroyed, residents of Damascus and Homs lost a couple hours of sleep and honor was satisfied. The only thing missing was Handel’s Musick for the Royal Fireworks. What was not trivial was that America once again fell into its besetting policy of sacrificing the strategic level to the tactical. Strategically, we need an alliance with Russia and we need to restore the state in Syria. When someone, probably not the Syrian government, launched a minor tactical attack that may or may not have used chemical weapons we immediately forgot our strategic goals and interests and fired off some missiles. This is the response of a spoiled child, not a serious nation. The North and South have fundamentally diametric economic and political systems and national ideologies. They also have very large guns pointed at each other’s head. Neither side has much reason to trust the other to refrain from trying to exploit the chaos that would come with a transition and force reunification on their own terms. This trust gap is not going away, nor is the prisoner’s dilemma. True reunification would require breathtaking courage from leaders on both sides, who would need to ignore immediate incentives and assume enormous risk while going through the process. At 8:45 in the morning on Friday, Feb. 5, 2016, Zubair Bin Huda, a director at Bangladesh’s central bank, entered the 30-story, concrete-and-glass headquarters in Dhaka. Bin Huda, slim and soft-spoken, with a thin black mustache and beard, rode an elevator to the ninth floor and eventually walked into the back office of the Accounts and Budgeting Department’s “dealing room,” the most restricted area of the building, accessible to only a handful of employees. It seems that hardly a 24-hour news cycle passes without a story about the latest social media controversy. We worry about who has our information, who knows our buying habits or searching habits, and who may be turning that information into targeted ads for products or politicians. Calls for stricter control and protection of privacy and for greater transparency follow. Europe will implement a new set of privacy regulations later this month - the culmination of a yearslong negotiating process and a move that could ease the way for similar policies in the United States, however eventually. Individuals, meanwhile, may take their own steps to guard their data. The implications of that reaction could reverberate far beyond our laptops or smartphones. It will handicap the United States in the next leg of the technology race with China. This research report on Open Source Intelligence provides detailed analysis on the main growth prospects and challenges in the market. This research study is expected to guide the new and existing key players in the market in making current business decisions in order to sustain in the rigid competition of the global Open Source Intelligence market. The report sheds light on the main product portfolios, geographical segments, key applications, and the competitive landscape of the global Open Source Intelligence market that have been mentioned in the study. Analysis tools such as SWOT analysis and Porter’s five force model have been inculcated in order to present a perfect in-depth knowledge about Open Source Intelligence market. Ample graphs, tables, charts are added to help have an accurate understanding of this market. The Open Source Intelligence market is also been analyzed in terms of value chain analysis and regulatory analysis. Tensions between the West and Russia are ratcheting up in the wake of the nerve agent attack on Sergei Skripal. The heightened hostilities will make day-to-day operations more challenging for foreign companies, nongovernmental organizations and journalists working in Russia. In addition to the threat of government surveillance and harassment, foreigners will likely be the targets of increased violence from nationalists and nationalist gangs. Growing concern in the United States and Europe over the collection and distribution of personal data could decrease the quality and accessibility of a subset of data used to develop artificial intelligence.Though the United States is still among the countries best poised to take advantage of AI technologies to drive economic growth, changes in privacy regulations and social behaviors will impair its tech sector over the course of the next decade.China, meanwhile, will take the opportunity to close the gap with the United States in the race to develop AI. In response to President Donald Trump’s call for a border wall, some members of Congress have instead offered a “virtual wall”—ocean-to-ocean border surveillance with technology, especially unmanned aircraft known as drones. U.S. Customs and Border Protection (CBP) already operates a fleet of nine unmanned aircraft. Although drones have been widely used in foreign battlefields, they have failed to help CBP apprehend illegal border crossers and seize drugs. Drones have led to only 0.5 percent of apprehensions at a cost of $32,000 per arrest. At the same time, drones undermine Americans’ privacy. Their surveillance records the daily lives of Americans living along the border, and because CBP regularly uses its drones to support the operations of other federal agencies as well as state and local police, its drones allow for government surveillance nationwide with minimal oversight and without warrants. CBP should wind down its drone program and, in the meantime, establish more robust privacy protections. The managing director of the IMF published an article in 2005 titled: “Is the IMF’s mandate still relevant?” In it, he defended the relevance of the IMF arguing that, despite the lack of crises for it to respond to, the IMF could still play a useful role in providing analysis and surveillance (Rato, 2005). In early 2007, the economics journal, The International Economy, ran a symposium titled “Is the IMF obsolete?” (The International Economy, 2007). It asked participants what should be done with the IMF and the global financial safety net given narrowing risk spreads, more efficient risk management and increased self-insurance by many countries. Ideas ranged from having the IMF focus purely on technical assistance and surveillance, having it merged with the World Bank or simply abolishing it altogether. There is something to the saying, … ‘to be young and conservative is to have no heart; to be old and liberal, to have no brain.’ Majors apparently stand at the heart-brain intersection. In my seven years working for the U.S. Army, perhaps the most surprising characteristic of the Army – surprising at least to me, a slacker anarchist civilian with little prior exposure to the military – is its tendency to be utterly and mind-numbingly boring. Of course, I should not have been surprised by this. Boring is the modus operandi of gigantic bureaucracy. When I started WAR ROOM, I really, really did not want to be boring, because it is fatal to attracting an audience. The Army can mandate that hundreds of thousands of people drool their way through annual information assurance training (hint: don’t let a total stranger borrow your government cell phone) but, alas, it will not mandate that people visit WAR ROOM to read our articles and listen to our podcasts. Hence our first commandment: Thou shalt have no other priorities before keeping it interesting. In developing WAR ROOM, we quite shamelessly borrowed from the model used so successfully by War on the Rocks: use an open submissions process, and welcome new writers who have interesting things to say. The importance of keeping it interesting is perhaps better captured in its more entertaining variant, the “inverse Thumperrule”: if you only got nice things to say, don’t say nothin’ at all. Cyber Command is being established as a unified combatant command May 4 during a ceremony at the Integrated Cyber Center/Joint Operations Center on Fort Meade, Maryland. It will also double as a change of command ceremony for its new leader, Army Lt. Gen Paul M. Nakasone, whose new assignment comes with a promotion to four-star general. Until the elevation, U.S. Cyber Command is a sub-unified command established in 2009 under U.S. Strategic Command. It has since grown significantly, as has the Defense Department’s cyber strategy. Now, Cybercom will be at the same level as Stratcom and the other unified combatant commands. Lawmakers and Defense Department leaders are showing increased interest in directed energy technology as the U.S. military gears up for great power competition with China and Russia. High-energy lasers were big “winners” in the 2018 omnibus spending bill that Congress passed in March, according to defense industry analyst Jim McAleese of McAleese & Associates. These weapons benefited from an “explosive spike” in Pentagon research, development, test and evaluation funding, which increased 23 percent relative to 2017 levels to $91 billion, he said in an email. Army Lt. Gen. Paul Nakasone took command of U.S. Cyber Command Friday at a ceremony that elevated the organization to the U.S. military's tenth unified combatant command. Nakasone assumed command of Cyber Command and the National Security Agency from Navy Adm. Michael Rogers during a change-of-command ceremony at Fort Meade, Maryland. "Today, we are at a dawn of a new era, facing the reality of war's changing character -- the emergence of cyberspace and outer space as contested warfighting domains, equal in importance with land, sea and air," said Deputy Secretary of Defense Patrick Shanahan. Last month, the U.S. and U.K. governments released a joint “Technical Alert” on the dangers of “Russian state-sponsored cyber actors.” While timely and targeted, this alert shouldn’t be a surprise to anyone. We’ve witnessed enough cyberattacks in recent years to understand that the digital domain is humanity’s new battlefield. And while the West is ramping up its defenses, its efforts aren’t guided by an overall doctrine. That’s right: There is no master plan. What we need now, before a more serious cyberattack, is a doctrine along the lines of our National Response Framework. This document is, in its own words, “a guide to how the nation responds to all types of disasters and emergencies.” Resources, roles, responsibilities, you name it. From the Oval Office down to local governments. It even includes Native American Tribal Councils. No, seriously, look it up -- because you can. This isn’t a secret, eyes-only doomsday plan. The National Response Framework is open to the public because it needs to be. There can’t be any room for misinterpretation or confusion. Security researchers from Kaspersky Lab published yesterday a report detailing the operations of a new cyber-espionage group that's been active in the Middle East region for the past three years.Codenamed ZooPark, this advanced persistent threat (APT) has started operating in 2015 and has slowly evolved over the years, growing in sophistication. The Kaspersky report lays out the group's past operations —split into four periods, based on the malware they've used in attacks.Attackers deployed a very simplistic malware, only capable of two operations —stealing accounts details registered on the victim device, and stealing contacts from the address book. 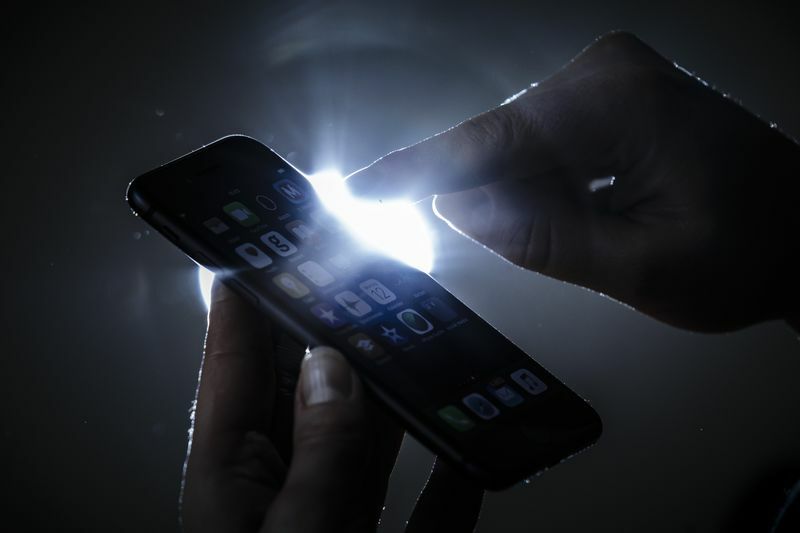 In this stage, attackers tried to disguise their app as the official Telegram application. 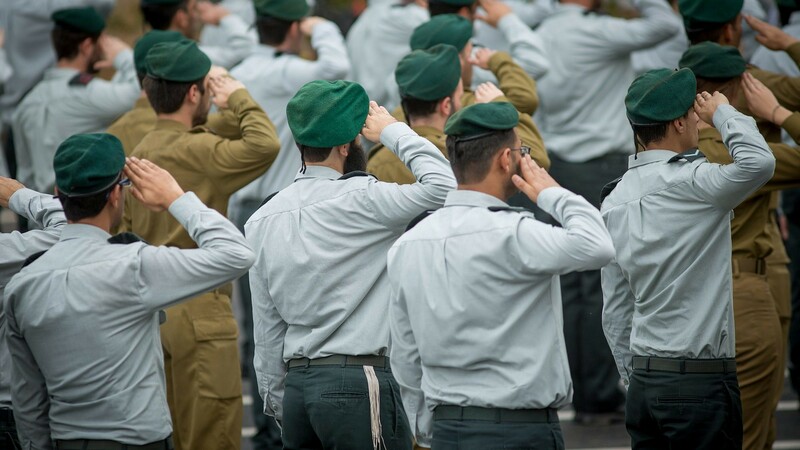 The secretive and sensitive Unit 9900, which specializes in visual intelligence and plays an essential role in the activities of the Israel Defense Forces, has received some 100 autistic volunteer soldiers so far. (May 4, 2018 / JNS) A program designed to integrate young people on the autistic spectrum into the military—in fields where they have a relative advantage—is proving to be a “win-win” for all involved. The program, dubbed “Seeing Afar,” which is jointly run by the IDF and the Ono Academic College, is now in its fifth year. 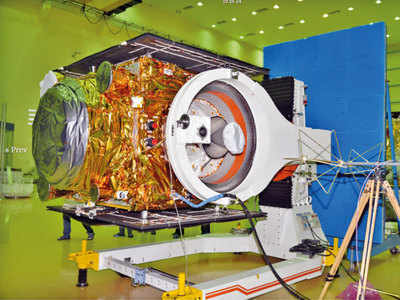 It includes a training course that teaches autistic youths to decipher aerial and satellite visual-intelligence images, based on their enhanced visual ability and their tendency towards patience, which allow them to explore the minutest details—an essential attribute for this role, an officer from an intelligence unit that received the volunteers has told JNS.